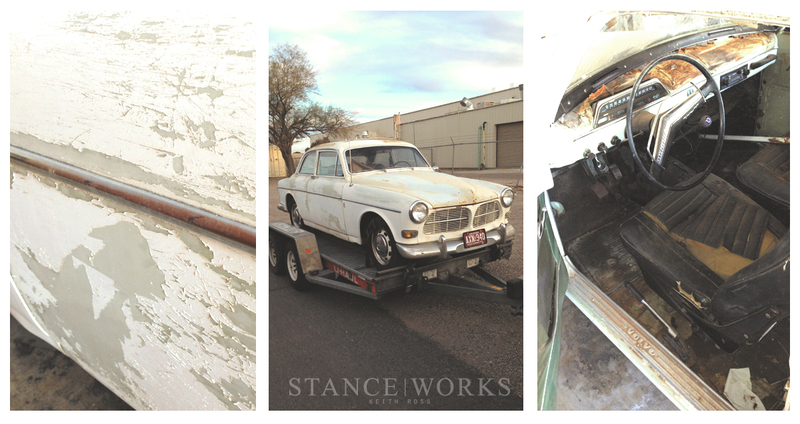 Last Friday marked the one year anniversary of Keith's acquisition of his 1966 Volvo Amazon 122. It's been only a year since he drove down to his friend, Jeremey's, house to take a leap back into the car world after a brief hiatus. Jeremy, an avid Volvo fan himself, is the one guilty of spreading the Volvo bug to Keith. He always had a collection of Volvos around, ranging from built 240s to classic Amazons. It was only a matter of time before Keith would fall victim to the Swedish styling cues and construction. 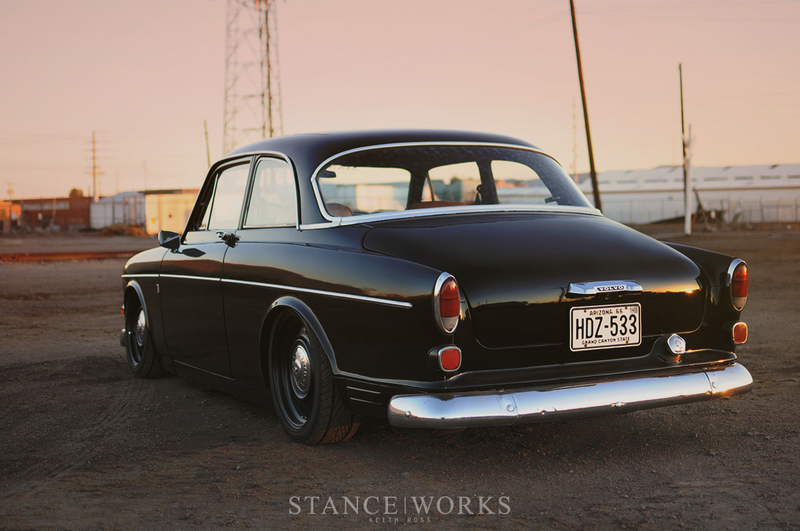 When Jeremy mentioned that he had a 1966 Volvo Amazon sitting on his parents' property, Keith began researching the unfamiliar model. With a Google Image search that I'm sure we can all relate to, it was all over. 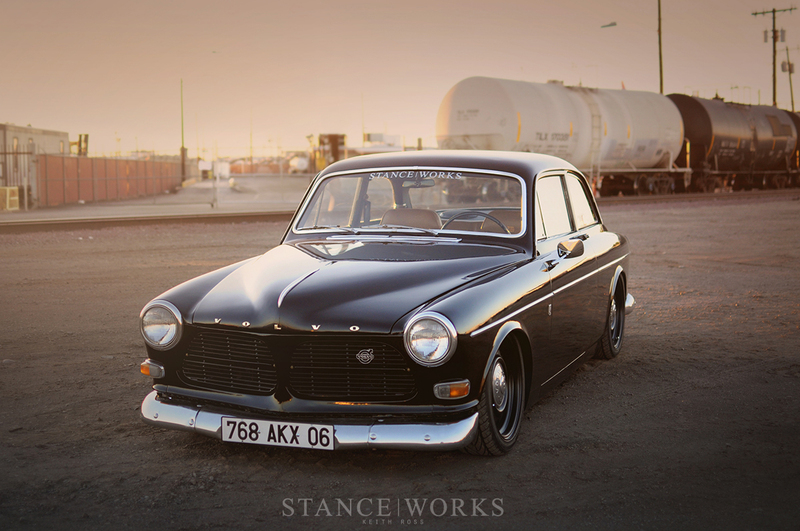 Keith had to have a Volvo Amazon. 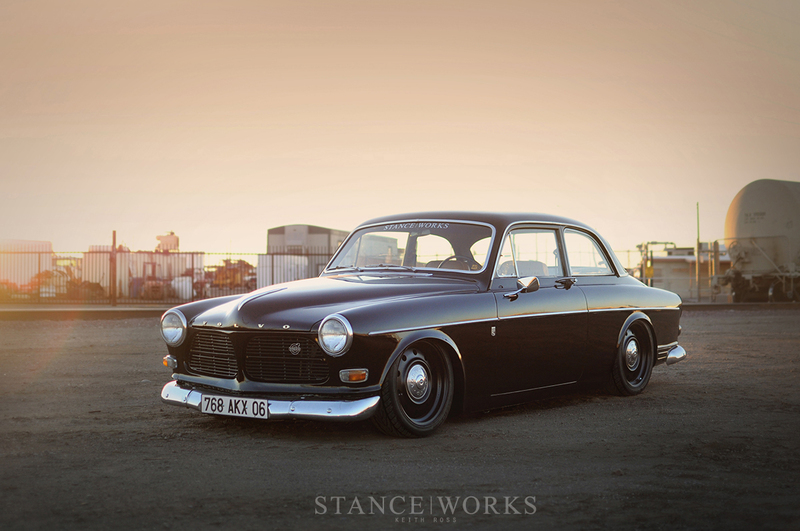 The Volvo Amazon 122 is an interesting platform to work with. Its style lends itself to a diverse selection of potential directions. Jan Wilsgaard, the chief designer of Volvo at the time, attributed much of the design inspiration for the Amazon to the American Kaiser vehicles that would come and go from the Port of Gothenburg Harbour. However, as a product of Swedish design, its lines are still indicative of the minimalist and clean Scandinavian design principles. It's a wonderful blend between the big American cars that came out of Michigan and the beautiful European cars that were on the road in the 50s. As such, Amazons come in all sorts of styles at the hands of enthusiasts and tinkerers. There are the rally-equipped hill climb builds, the 122s with American Hot Rod influences, and the cars that expand upon the elegant European styling of the 1950s. Keith set out to build a car that could bounce between some of these styles while paying tribute to the original inspiration behind the Amazon that he fell in love with. 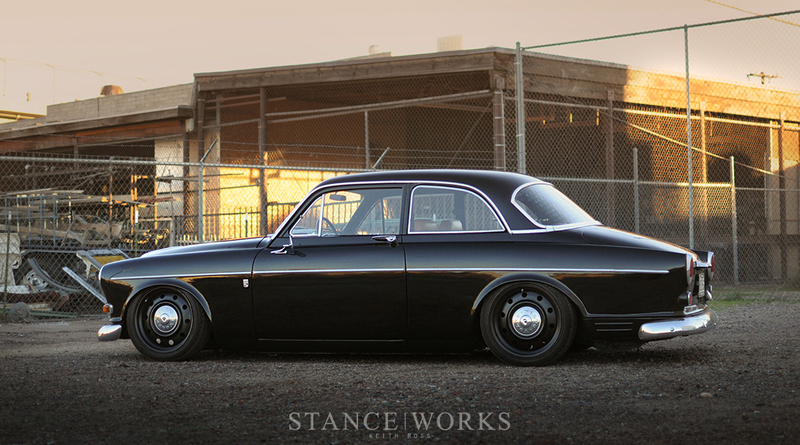 After only a year, the Volvo 122 has come a long way. The car was in rough shape when it came into Keith’s possesion. A white roller paintjob was flaking off of the old tired green that originally adorned it from the factory. The interior had suffered the test of time; and the rubber bushings, balljoints, and weather seals had all but deteriorated entirely. The car was really showing its age, but Keith was determined to restore its original elegance with a dash of his own style. He felt that black would be the perfect color to play off the chrome accents that lent such a classy look to the 122. A new glossy paint job coated the panels and extended onto the grills, bringing a new color and shine to the round lines of the Amazon’s body. The old hazy bumpers were replaced with shinier examples and the overriders were left off for a sleeker profile. 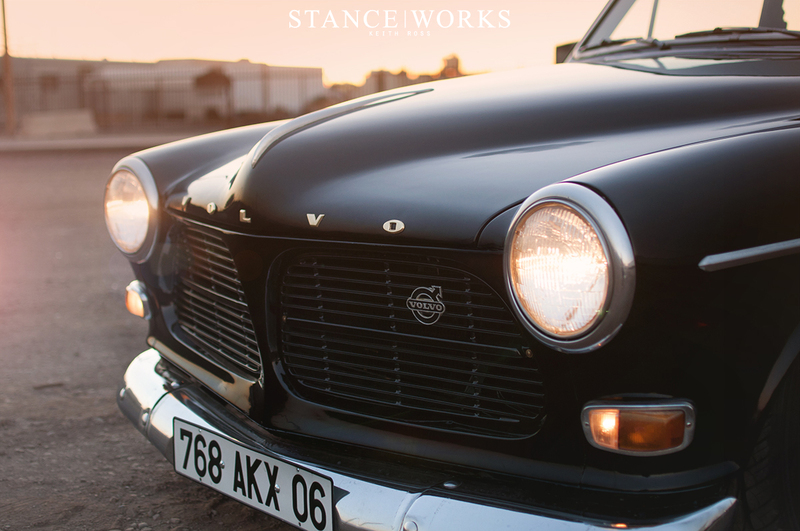 In need of a side mirror, he looked back to the classic American cars to find a part that would flow with his Volvo’s original American influences. A mirror reappropriated from a ’68 Camaro was the perfect match and was bolted to the door low enough to ensure proper function of the window vents in hot weather. The new chrome additions sparkled nicely against the car’s black bodywork and completed the work on the exterior for the time being. With torn leather, dirty panels, and the interior in disarray, it was time for a complete restoration inside the cabin. The dash was removed and painted black as the instrument panel was replaced with one in working order. Details ranging from the steering wheel to the switches were polished and painted while his upholstery guy worked hard on the seats and panels. New peanut buttery leather covered the seats and brought a bit of warmth and class to the color palette. 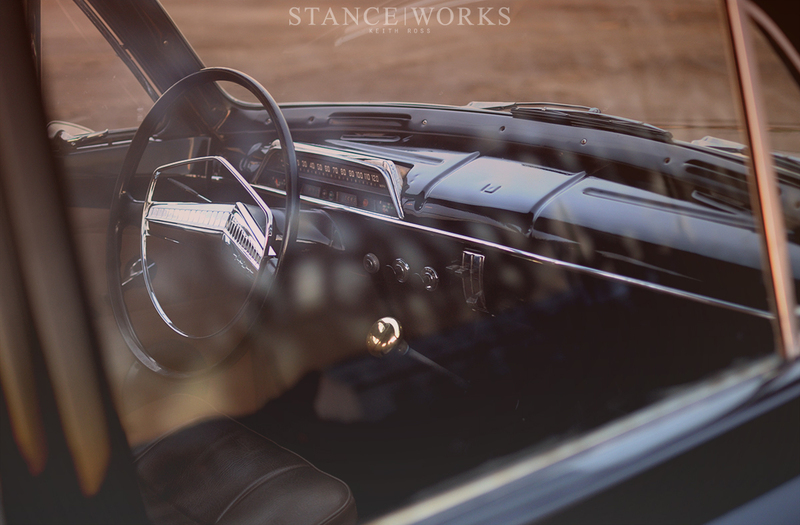 Like magic, an old ratty interior soon became one that emanated with craftsmanship and Keith was able to focus on the fitment where his interests truly lie. The original 15x4 wheels and bulbous tires were dated and begging for retirement. In their place, Keith bolted on 17x7 Mopar steelies and outfitted them with 70s Volvo caps, offering a modern yet OEM solution. A set of spacers and 205/45 tires were used to fill out the arches and bring a contemporary fitment to the Amazon. With priority set on retaining functionality, Keith knew that he wanted the car to be low, but not at the cost of comfort or drivability. With the help of his friend Craig, he dove into rather uncharted territory and began his air ride install. Without much guidance available in the Volvo community, it was up to them to cut and fabricate the mounts for the bags and discover what needed to be done to achieve the height they were after. With the bag mounts welded in and the lower control arm ball joints relocated, the Volvo was sitting lower over the black steelies. In the trunk, they installed a Viair Compressor to fill the 2.5 gallon tank and a digital switch box to give control to the driver. The air ride was the final touch that the car needed. As soon as pictures surfaced of its new stance, they began spreading all over. It's simple to grab the public's attention and incite internet discussion with extreme widebodies, brightly colored wheels, excessive camber, or wild spoilers. When something is a drastic divergence from the OEM styling of a car, it's bound to stand out and garner attention, good or bad. While there's nothing wrong with making such bold statements in styling, there's something to be said for those cars that still capture attention with their own subtle aesthetic. With a similar finesse, the Scandinavians are well known for their simple yet effective design principles. Often marrying function with aesthetics in a practice of minimalism, they avoided heavy elements and relied solely on the elements that were necessary. 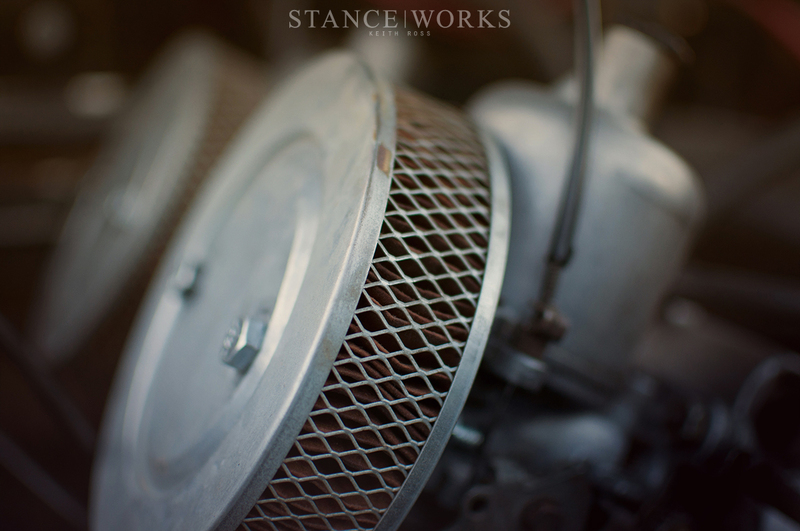 A simple but compelling beauty is found in the basic requirements of functionality when no unnecessary steps are taken. In many ways, Keith embraced these Swedish design principles and he was able to build a car that, while simple in its initial impression, successfully captured the admiration of viewers. 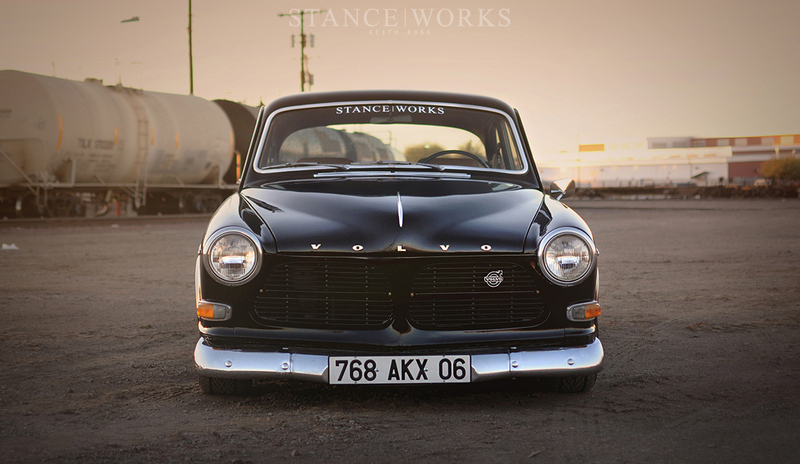 As it finds its way around the social networks and forums of the online car world, the classic and understated styling cues of Keith’s Volvo Amazon speak to much of the community. 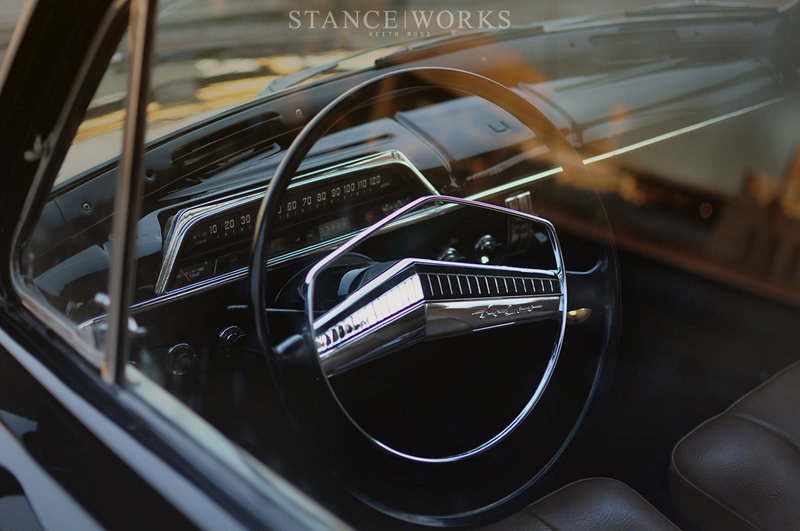 I watched the new photo updates appear in his build thread on the StanceWorks forum (For a full build thread click here) with great anticipation and I knew it was a car that would grace the StanceWorks blog one day. Keith took an old worn out classic and reinvigorated it. He introduced his own modern touches to the build but he did so while staying true to the original nature of the beautiful 1966 chassis. The outcome is a European car that remains elegant and classy while also exuding a tough gangster demeanor reminiscent of 50s Americana. Without striding too far away from the standard lines, Keith put together a car that captured our attention and the attention of many others. I applaud him for his recent restoration and I eagerly await any future updates that he has in store. Well done Keith. Excellent choice of everything. That is a stupidly good looking car. I will always have a soft spot for the amazon. Andrew, really nice photos. So cool to see sunrise on boot lids reflection! Would be cool if there would be at least one picture with normal ride height (not only on this particular feature, but on all featured air bagged cars). Otherwise it’s hard to justify its normal real appearance by looking only at “show” height. I also like that there are some photos on how this car used to be before Keith started working on it. Great article and a beautiful car! what a marvelous machine.. interior is bang on, wheels are bang on. jolly good show, sir! Nice car!! Class and simple. The pictures at sunset time are greats. By the way, I have got one question about the front license plate: Why, this one, looks like a french license plate from one department in the south east of France? @VincentDeNadai Thanks! As far as the old French plate, there was really no reason other than I like that it matched the legal rear plate with the white background and black lettering. I also liked that it kind of looked generically european. I have a few other plates including a swedish export plate, but they dont look as good. @Keith602 Ok and thanks for the answer. beautiful car, bummer you didn’t have the beauty rings on the rims in these shots. Clean and beaultiful! well done Mr Keith. This car (modell) looks great. What a discovery for me in 2014. Thanks. This is fantastic. What I love most about it are the wheels! I would love those on my Volvo Amazon Estate ’65 restauration project. Can anyone please tell me where i can get those? Keith602 Amazon Adventures Awesome Keith, thnx for your fast reply! Hi Keith602 did you use the old hub cap retainer off a 140 or 164 to fix the hub caps to these wheels? If so did you have any issues with the fitment? Do you know what sized spacers you used?